Snopes, the fake “fact check” site run by liberals, has been caught trying to justify the lies in an anti-Trump meme that is making the rounds this week. But after it was found lying in an effort to harm Trump, Snopes desperately tried to backtrack. The false meme aimed at attacking Trump features a photo of the president surrounded by a large number of members of Congress and other Washingtonians with Xs over many of their faces. 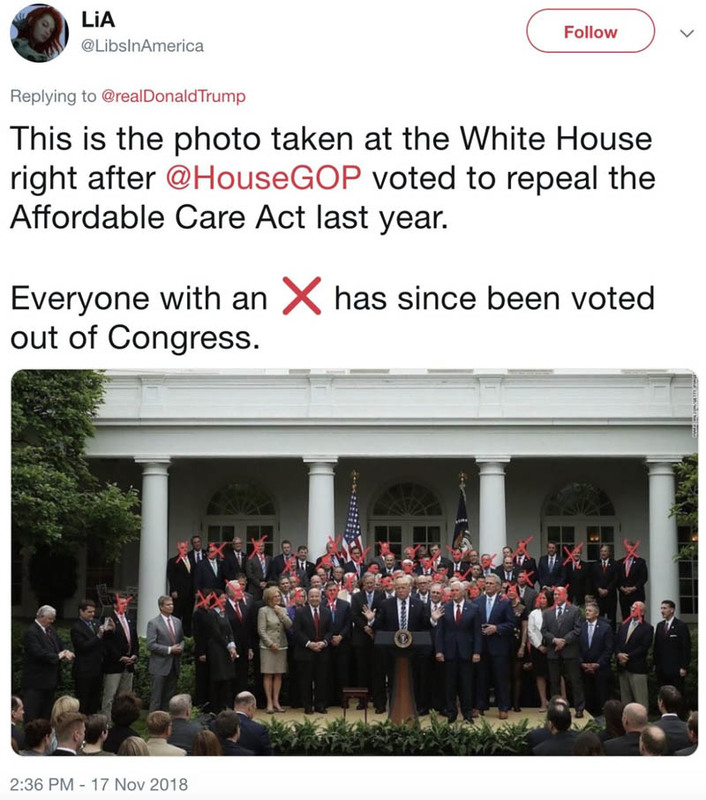 The meme maintains that those with Xs over their faces were “voted out of Congress” because of their votes against Obamacare, Daily Caller reported. But it turns out that the claim that the Xs represent those voted out because of Obamacare is a lie. Even left-wing reporters like Politico’s Jake Sherman quickly noted that the claims of the meme are BS. The Daily Caller also put out a detailed report proving that the meme is mostly garbage. But even after the fake anti-Trump meme was debunked, the left-wing “fact checker” site, Snopes, jumped into the game to support the anti-Trumpers. 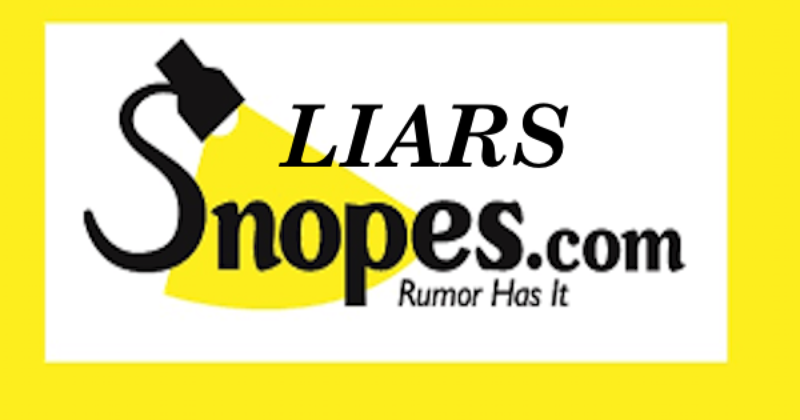 Snopes, though, continued to claim that the meme is “generally correct” even though it is mostly false. Naturally, because Google is 100 percent in line with Snopes’s anti-Trump goals, the search giant supported Snopes’ lies. Snopes is a liberal outlet whose goal is to push an agenda. And the truth is not part of that agenda.